If you're like me, you're always on the hunt for good bargain lenses. For the longest time, I've focused on buying used gear, that way I can get a really solid kit going without having to take a second mortgage on my house. This is a pursuit that has served me very well over the years, and it's not something I'll change any time soon. Every once in awhile, though, a new piece of gear comes on the market at a price that's pretty unbelievable. Rokinon's new Canon-mount 85mm f/1.4 is one such example, and it might become one of the best Canon lenses you can find. Let me start by saying that it wasn't all that long ago that I would have never recommended a Rokinon lens to anyone. They were cheaply made and didn't perform well, and looked and felt like their cheap prices. That's changed though - and changed a lot. Rokinon has become one of the best third-party manufacturers of lenses not just for Canon but for Nikon, Sony, and others as well. And this latest lens shows how far they've come. Who Makes a Better Entry-Level Camera: Canon or Nikon? 50mm Lens: Overrated or a Must-Have? Though this lens was designed for use with Canon's full frame cameras like the 5D Mark IV and the 6D Mark II, it can also be used with Canon's APS-C cameras like the Rebel T7i and the Rebel SL2. Naturally, on a full frame rig, this lens operates as an 85mm. But on a crop sensor body, its effective focal length jumps to 136mm. Either way, the lens is packed with technology that you'd expect from a more prestigious company like Zeiss. For example, it has a hybrid aspherical element that not only minimizes distortion and aberration, but also provides top-notch resolution. 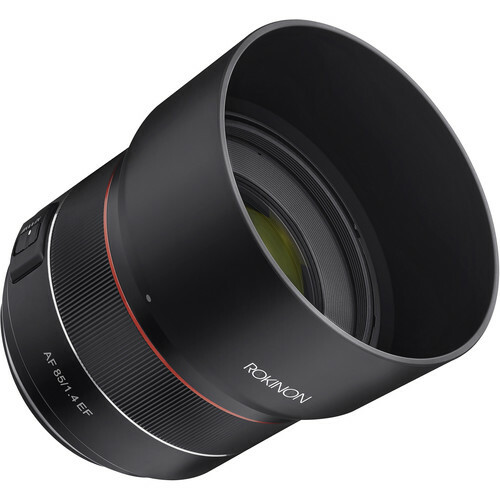 Additionally, the design of the element allowed Rokinon to create a much more compact lens (it's less than three inches in length) that's also featherlight (just 17oz). The lens also has an ultra-fast autofocus mechanism thanks to dual Linear Ultrasonic Motors. The inclusion of these motors means that this lens is also extremely quiet. On top of that, only the inner lens group has to be adjusted to obtain sharp focus. 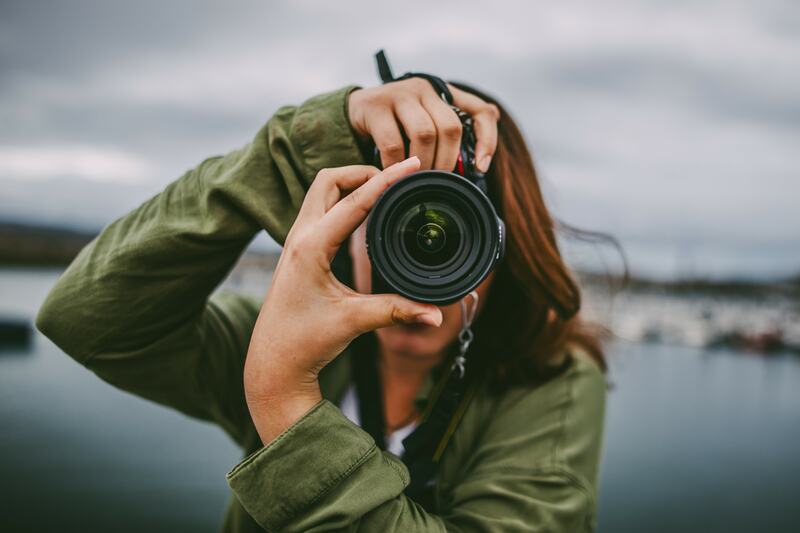 These features should be of great interest to wedding photographers, in particular, because having a quiet, yet fast lens is a huge advantage when you're shooting indoors. But this isn't just an indoor kind of lens. 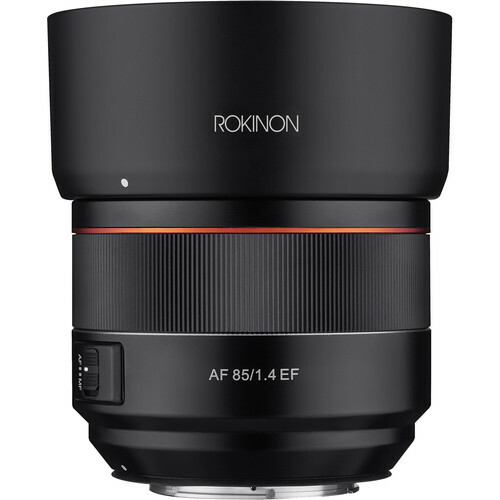 Rokinon also gave the lens full weather sealing and all-metal construction. That should be something of interest to nature and wildlife photographers that need a lens that can withstand the elements and has the durability of construction to handle the bumps and bruises it's sure to get while adventuring in the wild. No matter if you use the lens indoors or out, you'll appreciate its ergonomic design that makes it easy to grip. 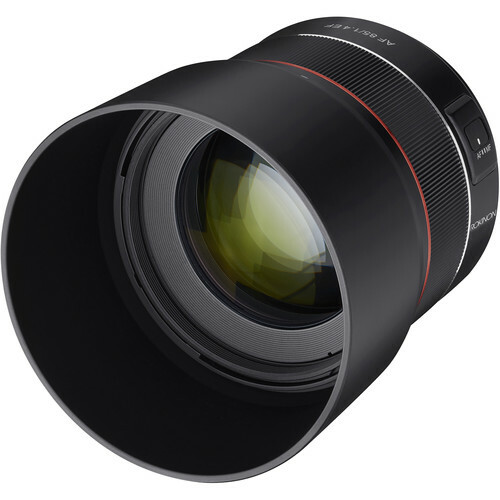 The only downside I can see at the moment is that this lens isn't yet to market. Rokinon expects their 85mm f/1.4 to hit the streets in August 2018 at a price of just $799. 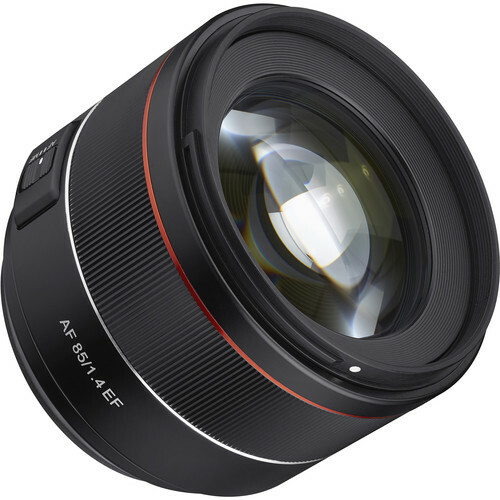 You can pre-order it now at B&H Photo Video for just $749, making it one of the best cheap 85mm lenses on the market. If you think that's steep, consider the fact that Canon's 85mm f/1.4 is $1,599 at the time of this writing. 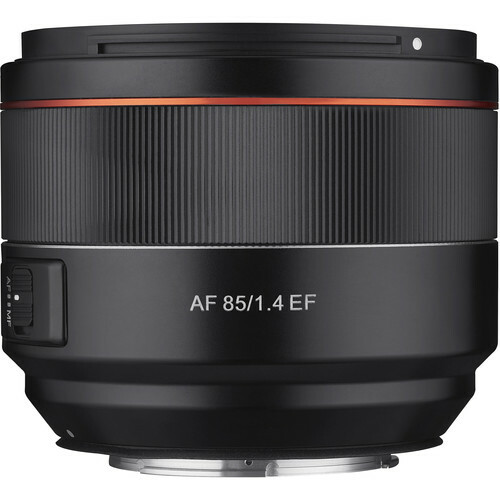 Of course, if you can't wait to get your hands on an 85mm f/1.4, you can always find good deals on used gear, too. As I noted in the introduction, buying used gear has served me well over the years, and it can for you as well, provided that you know where to look. Not only does buying used gear help you save money, but given that the market for used gear is so hot, you can double-down and sell your old stuff as well. That old kit lens you never use anymore or that old 85mm f/2 that's collecting dust is just money waiting to be had, and money that you can use to make upgrades to your kit. So, get rid of your old gear, find used gear that you want, and start filling your camera bag with gear that you want, need, and will use!